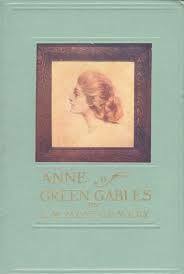 It's been a difficult few weeks and I needed to be in a simpler time, so I sat down with Anne of Green Gables on my Kindle. I seem to remember that my late mother loved this book. I can see why. Anne Shirley is a redheaded 11-year-old orphan when we meet her. Brother and sister, Matthew and Marilla, have a small farm, called Green Gables, on Prince Edward Island, Canada. They decide to adopt an orphan boy to help Matthew with the farm work. Instead, when the orphan arrives, it's a girl. Who won't stop talking! She's so excited about coming to a real home. She's excited about everything and full of wonder. In the short ride from the station, she begins to captivate Matthew. Marilla isn't happy and wants to return her and Anne is devastated. But they decide to keep her. Anne has a knack for mistakes: putting liniment in a cake instead of vanilla (not really her fault since Marilla had put liniment in the empty vanilla bottle), or getting her best friend drunk because she mistook wine for cordial (also not her fault because Marilla had moved the cordial bottle). It was her fault that she accidentally dyed her hair green. But, as Anne says, she never makes the same mistake twice and she'll soon run out of mistakes and become a good girl. Anne's imagination and delight and enthusiasm are contagious. To me, anyway. I found myself untypically trying to look on the bright side of things. She doesn't miss the littlest flowers or insects. She loves the sound of the wind in the trees and thinks it would be wonderful to be a bee living in a flower. She imagines a haunted wood and scares herself and her best bosom friend forever, Diana, so badly that they can't walk through the wood, which they'd walked through almost every day, anymore. 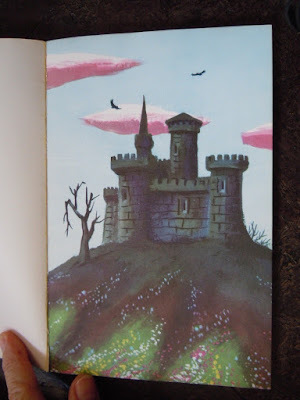 She imagines castles and knights and all things romantic. Anne grows from a freckle-faced child into a smart and lovely teenage girl. Matthew and Marilla are proud of her. She's won their complete and total love, even if Marilla is reluctant to show her. If you need a break from the bad news of today, both worldwide and personal, go visit Anne at Green Gables. Right now, Washington is ablaze in controversy and partisan bickering. But behind it, too many are missing a critical story: if Congress signs off on the Bureau of Land Management's budget request, as many as 100,000 wild horses and burros will be slaughtered. This isn't fear-mongering. It's what's at stake if we overturn the ban on horse slaughter. And if we're going to stop it, we need to get this story out there and make sure Congress and Americans at-large understand what could happen in just a matter of weeks. Watch our latest web video and then share it on Facebook or Twitter with the hashtag #NoHorseSlaughter. We need to turn up the volume. And fast. So please watch our video now and share it. P.S. Please also consider a donation as we intensify our campaigning in Washington and across the country. In my opinion, this is a sad book about love. It reminded me of some of the Thomas Hardy books I read in my teens: no joy. The writing is beautiful and descriptive. 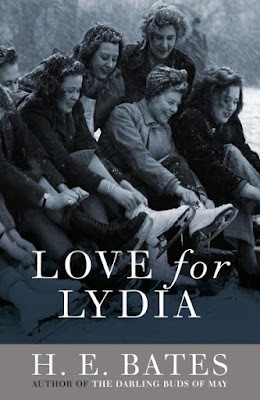 Bates paints the colors, sounds, and smells of the small town of Evensford, England, so well that we can see, hear, and smell the world of Love for Lydia. Juliana and Bertie Aspen are two aging sisters who live on the family estate with their brother Rollo. They don't normally associate with the townspeople. But their niece, Lydia, comes to live with them and they determine not to keep her isolated from other young people. Richardson (I don't think we ever get his first name), the narrater, comes to the house to get a story about Lydia for the town newspaper. Juliana and Bertie recruit him to spend time with Lydia. Lydia and Richardson fall in love. At least Richardson falls in love with Lydia. She asks him if he'll love her even if she's bad to him. He says yes, but she eventually tries his love to the extreme. She goes from being a shy young girl to a flirtatious and unpredictable, fun loving young woman. Richardson introduces her to his friends. The men fall for Lydia as Lydia happily collects them all. Tragedy lies ahead for several of the friends, and for Lydia, too. In order to save money that they've already wasted on cruel and ineffective roundups, the Bureau of Land Management is now asking Congress to lift the ban on killing healthy wild horses and burros under their 'protection'. This cannot happen. We cannot let this happen. If in addition to your Congresspeople you call the White House, remind them that President Trump promised to give government back to the people. We are the people and we want our wild horses and burros protected, as they currently are under federal law. Ask your Congresspeople to strongly oppose lifting the ban on killing healthy wild horses and burros. It takes only a few minutes to call. Participate in our democracy or it goes away. 1) The Bureau of Land Management's (BLM) 2018 budget asks Congress to lift a ban on destroying healthy mustangs and burros. 2) If the ban is lifted, wild horses and burros in holding facilities will be killed or sold to slaughter. The remaining "excess" population will be slaughtered, possibly gunned-down in the wild. 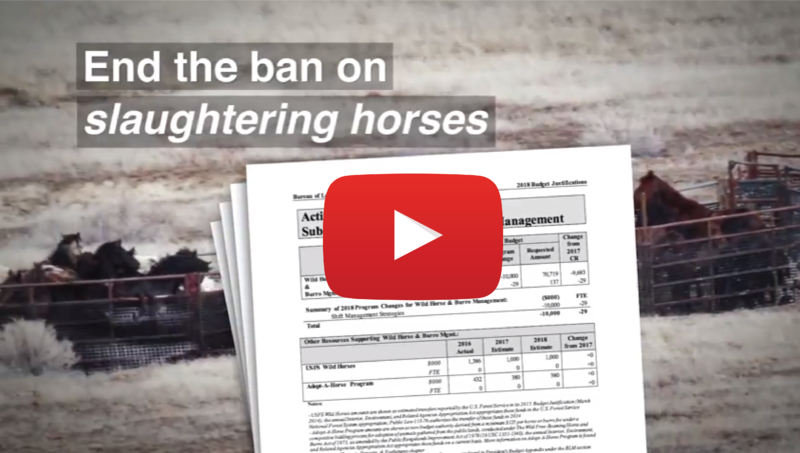 Up to 92,000 healthy horses will die. If this sounds like the worst-case-scenario for our cause, it is. If Congress accepts the BLM's budget provision, we would see an unprecedented mass slaughter of healthy horses and burros. It would lead to horses being slaughtered for human consumption. It would destroy our nation's icons of freedom. It would be a tragedy. We're kicking off the first of two weeks of action to stop this nightmare from becoming reality. Today, we need you to contact your member of Congress. Our leaders must hear us loud and clear: #NoHorseSlaughter. No way. I needed a palate cleanser - and I also needed to read and get rid of a bunch of TBR books. 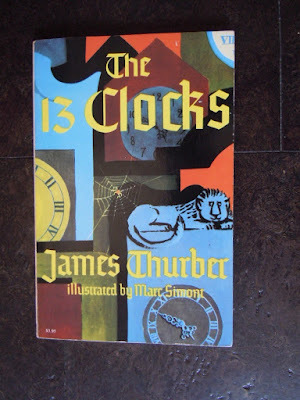 The 13 Clocks is only 124 pages long, with wide spacing and fairly large print. And illustrations I like by Marc Simont. This was the book to read today. I've loved James Thurber since junior high. I love his silliness, his sometimes bizarre illustrations and sense of humor. He doesn't disappoint in The 13 Clocks. It's a standard fairy tale: a prince disguised as a minstrel wants to marry a princess locked in a castle by her evil guardian. The guardian sets impossible tasks for her suitors and, when they fail, kills them. Our prince is aided by a Golux, who may or may not be helpful. Not everyone is who they seem to be. The Golux helps the prince with his task: to find 1,000 jewels and return with them when the clocks strike 5. But the 13 clocks have all stopped at 10 minutes to 5, so they'll never strike 5. Or will they? 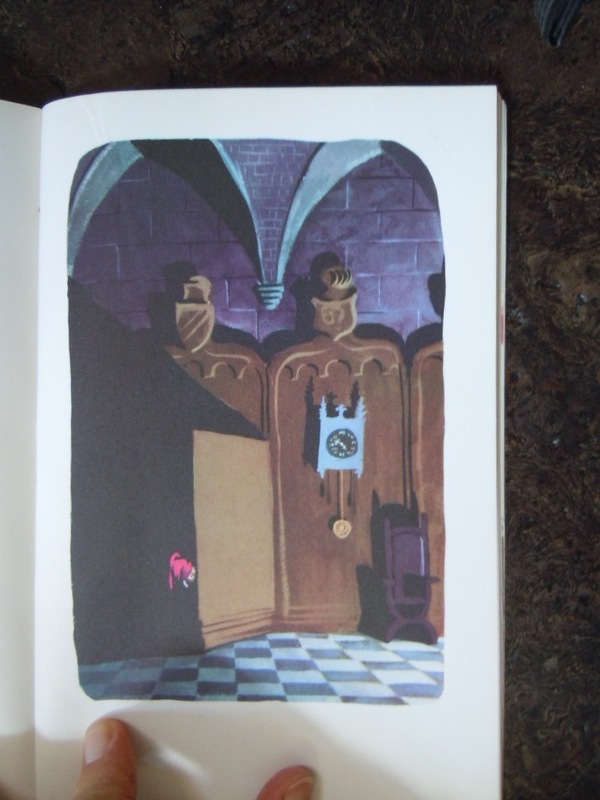 Thurber loves to play with words, to make them up, to use them in rhymes. He does all in The 13 Clocks. 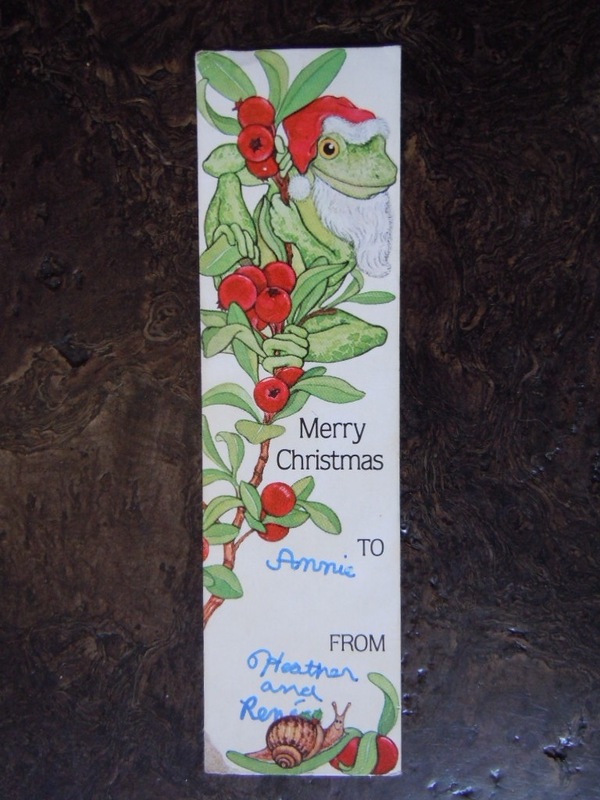 As a bonus, below is the charming (and odd, really, a Santa frog?) and appropriate gift bookmark I found inside. I don't think many of us post about all the books we read. Sometimes we don't want to write a bad review, so we skip that book. Sometimes we just have nothing much to say about a book, even though we might have enjoyed it. Here's my list of what I read in June. Again, it's a list heavy in mysteries. I should just accept that I'm a mystery junkie and always have been. I finally got audio CDs for Don Quixote, which I'm hoping to finish one of these days. I have a few other books partly read that I'd like to finish this summer. But then there are all those unread books in my house and all those recommended on your blog posts!